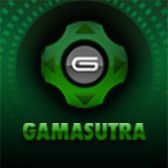 Gamasutra is the largest web site devoted to the art and business of making games. It offers the latest breaking news on video games, detailed features on the industry, the biggest video game job board around, and a vibrant community of game dev bloggers. See for yourself at Gamasutra.com. 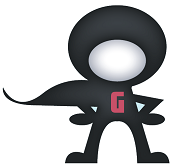 Game Career Guide provides resources and information for the next generation of game developers, including an international school directory, student-created games, educational articles and news, and a digital counselor. 17173.com, the largest video game media and platform in China, has been committed to the industry for 16 years with keen sense of industry trends, a wide variety of game news and unique insights. Covering gaming portal, videos and apps, 17173 boasts 410 million monthly active users. 17173VR is the largest VR game media in China with the mission to bring the latest and valuable sights, professional VR game reviews for all Chinese readers who are interested in VR. ArtStation is the showcase platform for games, film, media & entertainment artists. It enables artists to showcase their portfolios in a slick way, discover & stay inspired, and connect with new opportunities. Pro members get a supercharged account, enabling custom domain names, password-protected pages, Pro themes, larger Marmoset 3D Viewer uploads, listings at the top of searches and more! CEDEC is a technical conference for the computer entertainment developers organized by the CESA, an industry organization in Japan. CEDEC features over 200 sessions by industry-leading developers and offers the latest technical and business information. The 2019 conference is held for three days from September 4 (Wed) to 6 (Fri) in Yokohama and a "call for speakers" is open from February 1 to April 1, 2019. Control500 is a dedicated micro mortems-website. Micro mortems are 'short reads', 500 words on a particular aspect of a game or its development. You'll find articles on one particular scene, object or design choice. Read now. Control magazine is the online developer magazine for The Netherlands and Belgium. It's a central point of information on the Dutch game industry. Have a look. GameDev.net is an online community for game developers and technology enthusiasts to learn, share, and connect with the games industry. The social and educational platform provides 300,000 developers with tutorials and blogs, industry news and job listings, active forums, an asset marketplace, and more. 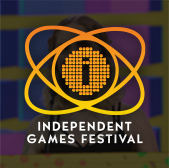 Members of the IASIG help improve the state of the art in audio for games, websites, VR content, and other interactive performances by sharing tips and techniques, studying trends, and creating reports and recommendations that game developers, tool makers, and platform owners use to create better products. Attend our Audio Town Hall Meeting and Mixer at GDC. Find out more. The International Game Developers Association (IGDA) is the largest non-profit membership organization in the world serving all individuals who create games. 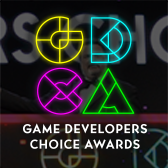 The IGDA's mission is to advance the careers and enhance the lives of game developers by connecting members with their peers, promoting professional development, and advocating on issues that affect the developer community. IGDA Japan chapter IGDA Japan chapter has been established in 2002 as a local chapter in Japanese capital area and advanced to Non-profit organization in 2012. There are 12 SIGs, 2 Task forces, 1 working group and we have over 2500 free mail news readers. We hold many seminars, events and cooperate with TGS, CEDEC, and DiGRA JAPAN. Key Players is the biggest classified directory of the German games industry. It provides interesting and surprising insights into the German games market as well as many in-depth company profiles. In addition to all relevant developers and publishers, you will also find a broad selection of service partners for outsourcing, PR, localization or legal advice. And best of all: You will even get to know the people who are responsible for the German age classification system. Key Players is distributed at every major industry event, including GDC. Making Games is Central Europe's leading magazine for professionals in the video game industry, be it print or online at makinggames.biz. Topics of the bilingual platform include programming, game design, graphics, production and sound. Here developers from all areas write for developers, share their experiences and dreams and inspire others with their articles and guides. Having recently merged with Develop, MCV is the leading multi-platform brand serving the UK's entire games industry in print, online and at a range of events. The games industry is constantly evolving and having a single industry-spanning brand allows us to stay on top of all the latest developments that affect those running and employed at games businesses. MCV will continue Develop's tradition of serving creative staff working directly on game projects of any size. These include programmers, designers, producers, artists, animators, QA managers, audio professionals and musicians, right down to multi-talented individuals. PC Gamer is the global authority on PC gaming. For more than two decades, our global team of editors has been delivering round-the-clock coverage of the world's most dynamic gaming platform. In print and online, we deliver breaking news, expert buying advice and passionate commentary about the stories that matter to the biggest audience of PC gamers of any media brand. 80.lv is the best place for game developers, digital artists, animators, video game enthusiasts, CGI and VFX talents to learn about new workflows, tools and share their work. Make yourself at home and develop your skills at 80 Level. Pixel Magazine creates valuable written content across the gaming culture spectrum. Expect reviews of current top game titles, interviews with legendary game developers, retro content, columns written by industry masters and other broad gaming topics. TOKYO GAME SHOW (TGS) 2019 will be held from September 12-15 at Makuhari Messe, suburban Tokyo. TGS is recognized as Asia's No.1 gaming event and biggest B2B coverage in the region. TGS 2018 had a record-breaking number of attendees with 298,690 visitors and 668 exhibitors including 330 from overseas with 41 countries and regions. As the world's technology epicenter, San Francisco has become hotbeds for VR and AR. VRARA SF positions companies to capitalize on this opportunity. Carried by chapter leaders embedded in VR/AR front lines, a thought-leadership approach is taken to member support. This results in education to members and visibility channels for them. This knowledge base also serves members through introductions and networking. Interested in becoming a GDC media or industry partner?